From Dial and String To State Of The Art Point and Click! 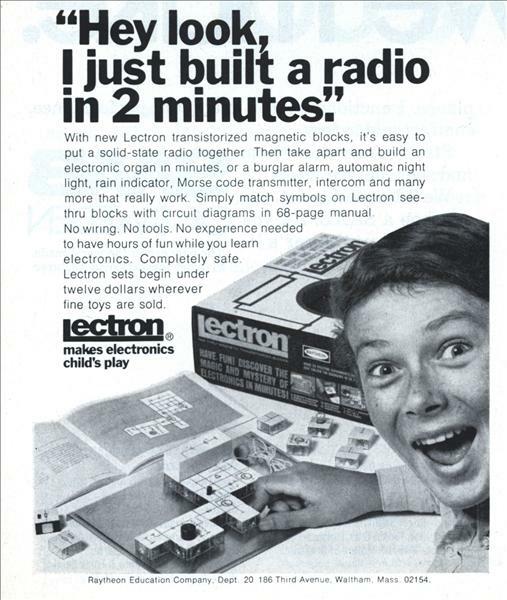 The K6HR Radio Timeline got it’s start in the early 1960’s. 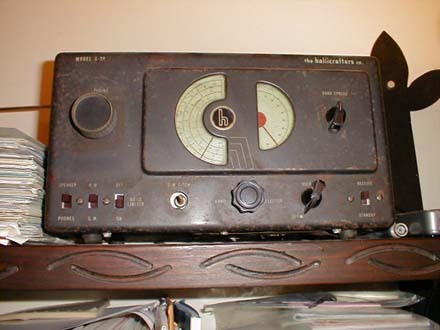 I remember the first radio I ever tried was my father’s Hallicrafters S-38. He got the radio secondhand somewhere and it needed to be ‘restrung’. Somehow the strings connecting the knobs to the tuning capacitors were missing. I clearly remember the first thing I heard on that radio was a station from Zanzibar. The S-38 shown above, is still working to this day! In the 1960’s our next door neighbor in Woodhaven NY, Mr. Moran, was a ham operator. As a child I was always quite fascinated every time I saw the big antenna on his roof turning back and forth. 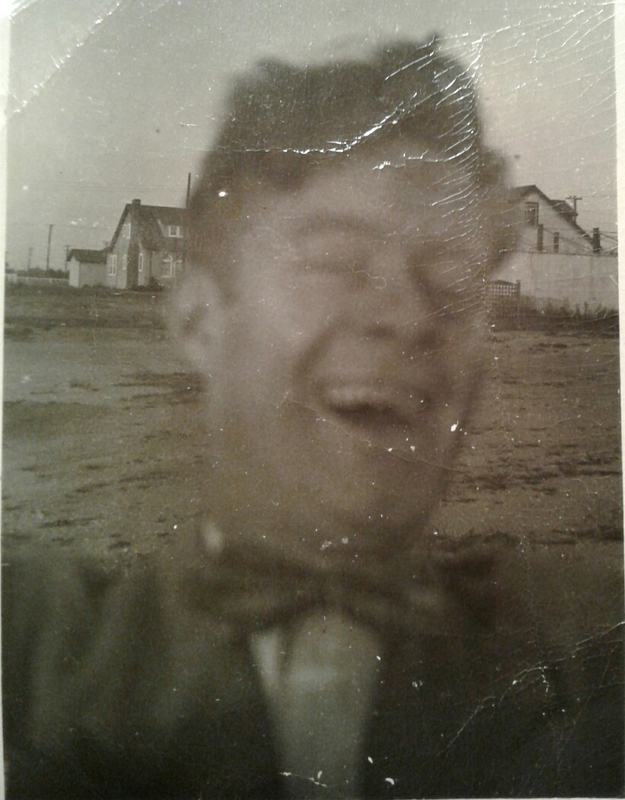 My dad was a CB operator [KQD-0108]. Back then, it seemed everyone in the neighborhood was on CB. My dad was very active, and involved in organizing QSO’s and other CB events. He had a Lafayette Comstat 19, a D-104, and a Super Magnum antenna. 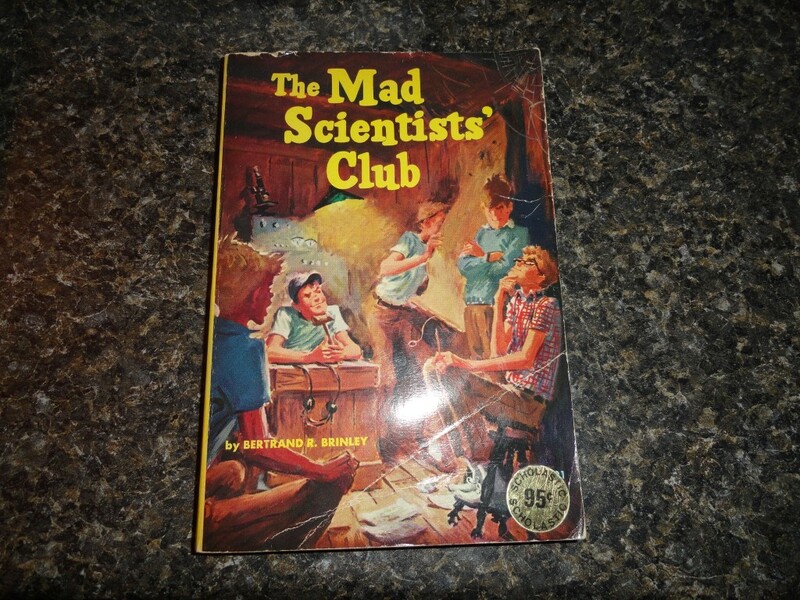 The ‘Mad Scientists’ were an early inspiration. Our Comstat 19 had the 5W-100mw switch! The best Christmas Gift Of All Time! 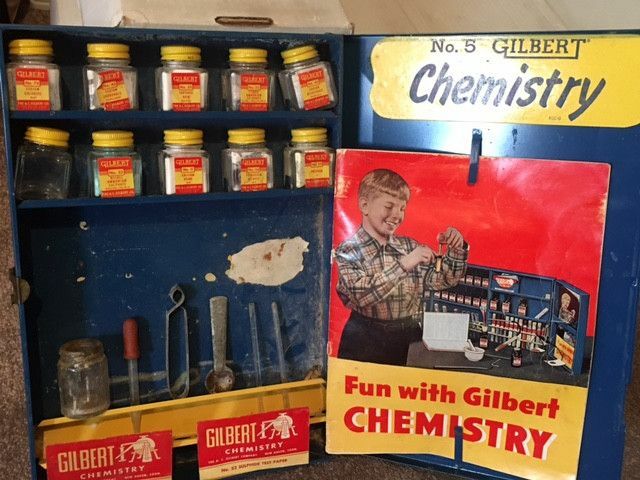 By the age of 10 I was allowed to use the CB and it became the main radio in the ‘laboratory’ that I’d set up in the ‘little room’ in the back of our attic. Model Rocket Plans that my best friend Tom and I were usually working on. In my teens, my interests turned to music. I played in bands and accumulated a lot of music and sound equipment in the process. During those years I put together a small PA system and some 4 track recording gear and had great fun recording with my friends. Eventually I opened a professional recording and rehearsal studio in Ronkonkoma NY. One night I was working the late shift in the studio when a friend stopped by and loaned me his scanner radio. ‘To keep you company” he said. That was it…just like that…the radio bug had returned. It wouldn’t be long before I bought my own my own scanner, then a shortwave radio, and over time, I would build a nice little SWL station in Sayville, NY. RTTY and SSTV decoding were also a big interest of mine. Using a Kenwood R-5000 and a Commodore 64 computer with a cartridge style decoder. I spent many a night finding and decoding RTTY messages and SSTV images as an SWL. 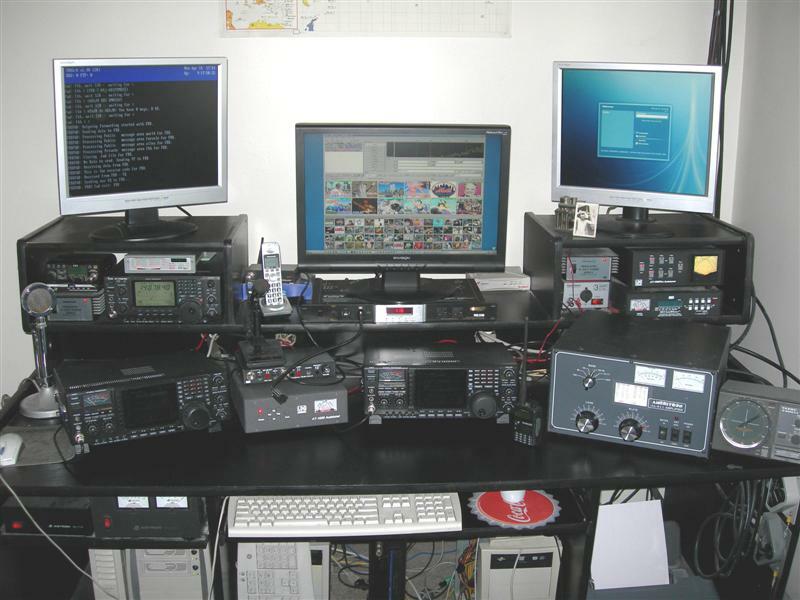 The following years of shortwave and scanner listening lead to a serious interest in amateur radio. When the radio bug returned I started by listening. In 1994 I passed my Technician Class exam and was issued KB2SHU as my first callsign. Once licensed I set up a packet radio station. Packet radio was at or near its peak at the time with TONS of activity. I was welcomed by all the local packet radio operators. They were all there to help, and before I knew it, I was forwarding bulletins and answering packet CQ calls from all over the world. Great stuff! 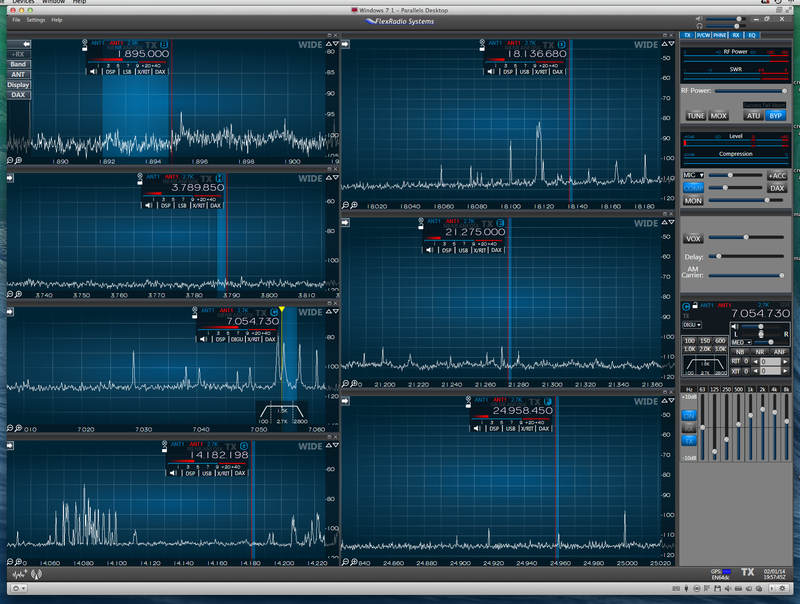 I loved decoding digital signals. At the time there was still a lot of copyable digital signals on HF, some of which my little Commodore 64 could not decode. Finally I decided to buy a Universal M-8000 Multi-mode Decoder. The top of the line! 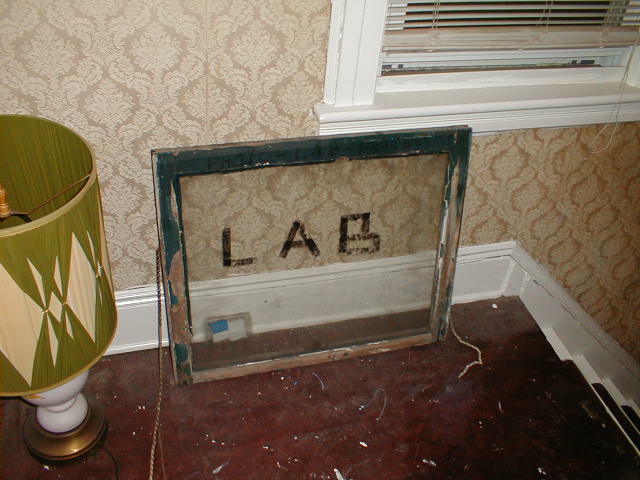 This could decode just about everything that was not encrypted! The POCSAG/GOLAY modes were very interesting! Versions manufactured after mine had these modes removed after the law changed. 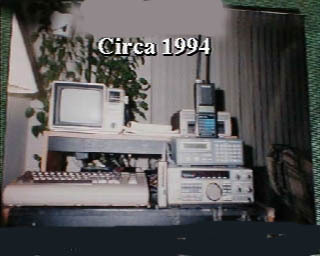 My first packet station (pictured above) used Radio Shack HTX-202 and HTX-404 handy talkies. First hooked up to an AEA PK-232, and then to Kantronics KPC-3 TNC’s (that I continue to use to this day). I settled on the KPC-3’s for the ease of KISS mode access. Starting as a 1200 baud user on the local systems, I learned quite a bit about operations. I added a second port @ 9600 baud on UHF for forwarding. My antennas were a discone and a dual band beam, mounted on a 20ft mast strapped to my apartment balcony with hose clamps! The neighbors thought I was crazy, but nobody complained! All the Long Island sysops were happy to have me join. We were all exchanging bulletins and forwarding message traffic worldwide! Great stuff! Many thanks to my packet radio elmers: John WB2CIK, Barry K2MF, Brian N1URO, Dave N2UHR, Art N2AH, Chuck N2JIY, Jack KC6CEM and many others. The AX25 packet software I started with (PC PAKRATT) began to lose its luster after my introduction to TCP/IP Over Radio. The KA9Q Network Operating System, or NOS software, was a world of improvement. NOS provided internet connectivity via radio! Oh boy was I interested! 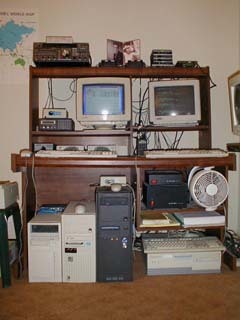 A group of hams in the Northeastern US had set up a fantastic network of Nodes and BBS systems. I think it’s fair to say this radio network formed the ‘backbone’ of all packet and TCP/IP over radio in the NE United States. I could TELNET to TCP/IP systems all over the world with pretty decent rtt’s. It was amazing, I worked live keyboard to keyboard chats with hams all around the world. For example: Starting with my 5 watt handy talkie and TNC I would node hop my way into Europe, and then login to a BBS, say, in Germany. At which point I would look at the “Heard List” on that BBS or Node to see which callsigns had recently been heard on its radio ports. Then, I would send a Connect Request and see if anybody was there to answer! I made hundreds of QSO’s this way and made many new friends worldwide! 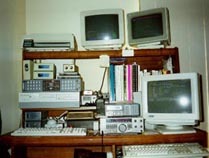 There were several TCP/IP enabled BBS softwares available, and I ran the big three: FBB, JNOS and TNOS. My family and I relocated from Long Island to Cerritos CA in 1998. From Long Island I brought with me a 6 port TCP/IP full service BBS that I had been running on Long Island. I listened for a while and found a lot of activity around my new hometown. After finding all the active frequencies I put my radio ports on the air in ‘6-Land’ as KB2SHU and started looking for forwarding partners etc. Once again I found some fast friends among the local packet sysops. Jack AA6HF ex-KC6CEM, whom I had met via packet radio when I lived in Sayville NY. Jack introduced me to everyone, and I was back in the fray in no time. Special thanks to Rick K6VE, Mike WD6EHR, Jerry KK6YO, Kim N6ROE, and many others. I obtained my General Class license in 2002 and was assigned the call AE6JN. Shortly thereafter I upgraded to Amateur Extra Class. A couple of years later we would move to a new home in nearby Norwalk CA and my dreams of an HF beam antenna would become a reality! My new Norwalk QTH saw the addition of a Mosley TA-33-JR-N-WARC. Two dipole antennas. HF Pactor. My first HF amplifier (the Ameritron AL-811). And, my first foray into HF contesting. I considered this to be a pretty swingin’ station and I was having great fun as usual. 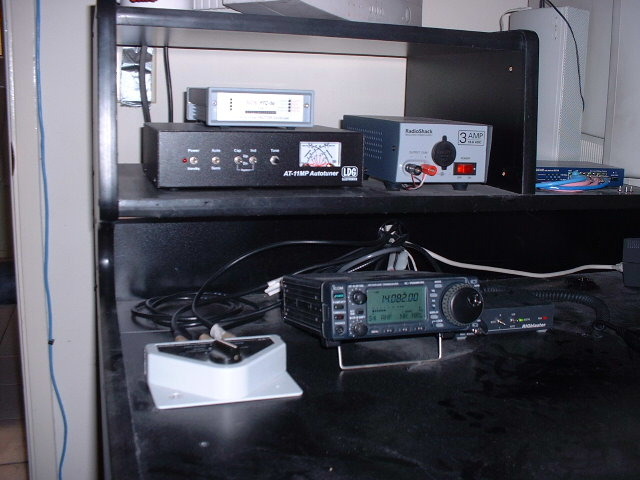 I dedicated two ICOM radios to 24/7 operation. 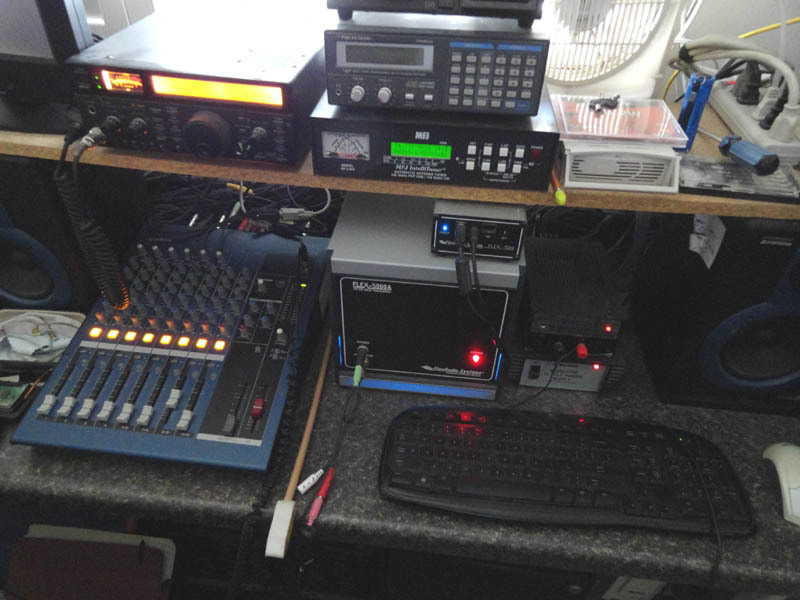 The 756proII was dedicated to the Live 20m SSTV Cam connected my webserver, and the 746pro ran HF PACTOR long haul forwarding operations with N0RVX and N7QDN. I used the SCS PTC-II Pro for PACTOR modes up to Speed Level 3 or P3 (the fastest available at the time). Eventually the PACTOR forwarding also “lost its luster” and I decided I had too much invested in the hardware for bulletin traffic I could obtain locally (via UHF). Later on, this factor would help make the decision to changeover to SDR that much easier. I’m not much of a rag chewer, never have been. I enjoy the short contacts and QSO’s, and I find contest exchanges to be right up my alley. Say what you will about contesters! I’ve worked some great DX during contests! I enjoy working S&P and usually have no problem working everyone I can hear. So, there I was, turning the radio dial slowly and listening carefully to find my next contact. That’s the way I did S&P back then…. Well, I really loved the ICOM radios, always got great reports, and I never had any problems with any of the ICOM radios I bought new. Most of all I was very pleased with how well the ICOM radios retained their resale value over the years. 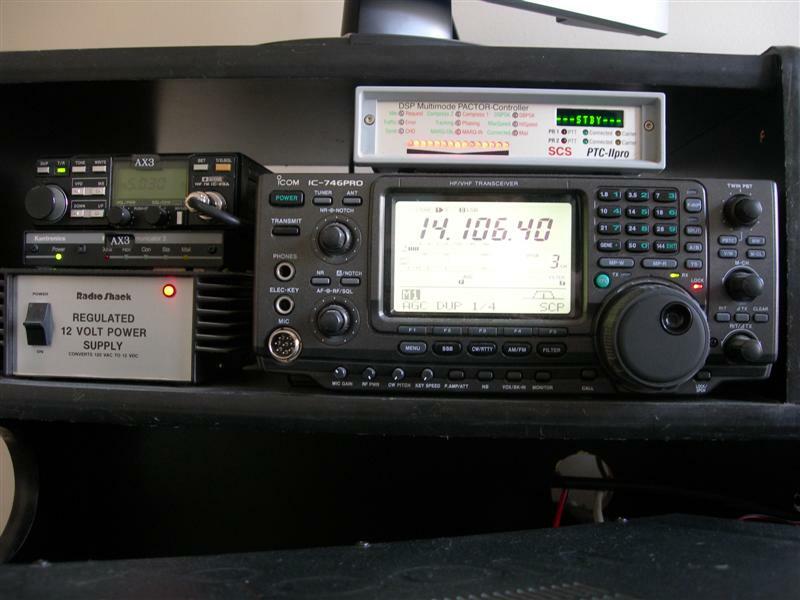 At the time I bought my IC-756 PRO2 for $1500, and I was very happy with the price at that time. 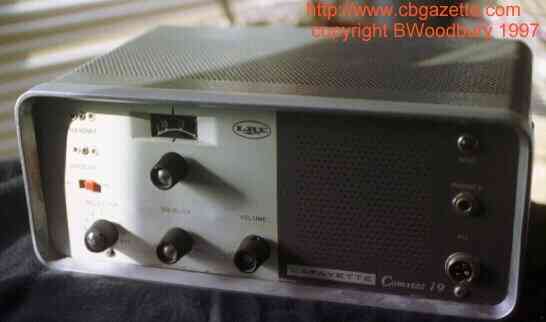 Believe it or not, after owning the radio for 5 years, I sold it on eBay for $1475! 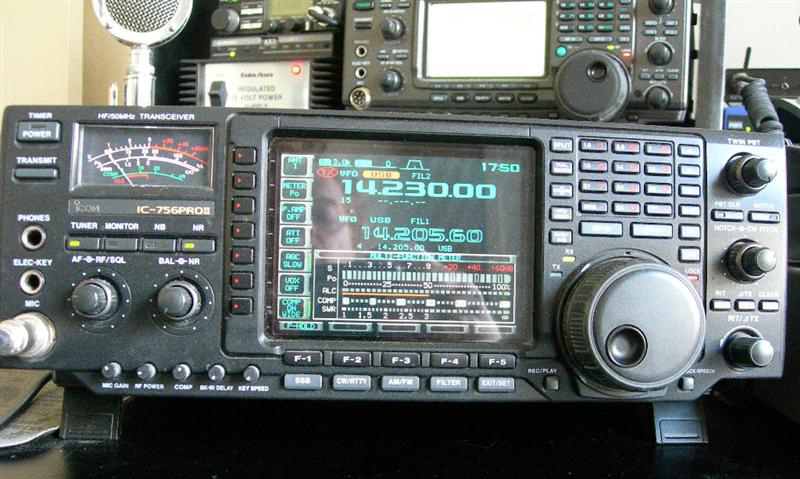 I had similar good fortune selling all my other ICOM equipment when it came time to make room for the Flex. When I started my SDR adventures with the Flex Radio SDR-1000 w/100W PA, I bought it secondhand along with an Edirol FA66 for the soundcard. 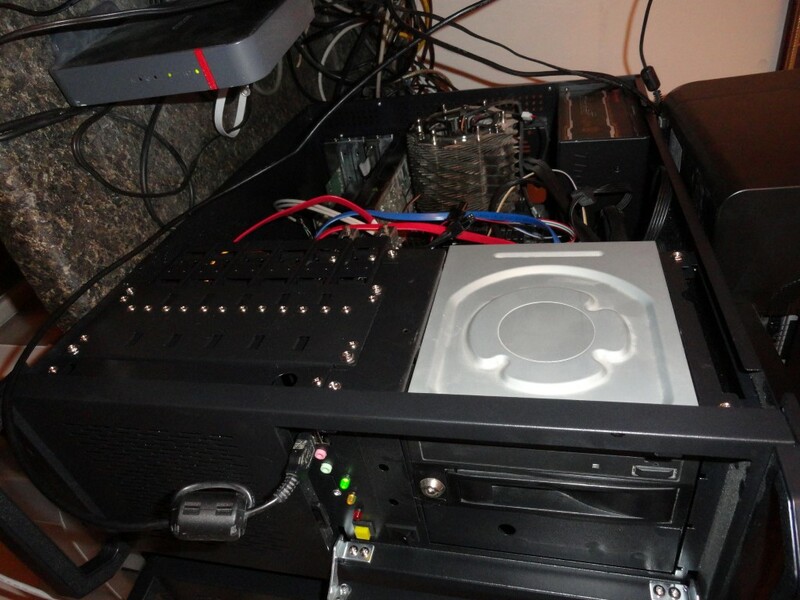 It also required the installation of a Parallel Port interface card. The radio was up and running within an hour or so of receiving it. Flex Radio panadapter – Point and Click Tuning! The software updates were fantastic. Each new PowerSDR version (via free download) literally gave you a NEW radio each time. It’s a software defined radio, so the possibilities were limitless. They just kept adding great new features in every release! So as new hardware became available I would upgrade and replace all my ICOM dial radios with the various new Flex transceivers. 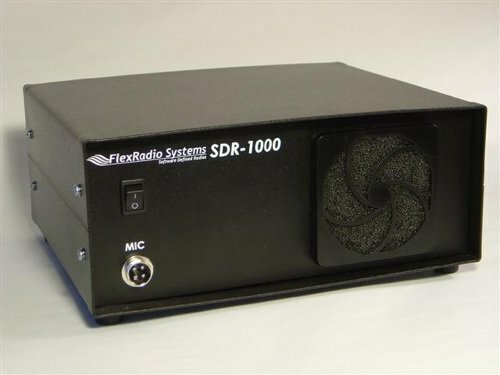 The Flex SDR-1000/PowerSDR combo had a panadapter bandwidth up to 192 Khz wide when used with a capable soundcard. My next Flex Radio would be their new model 5000A. This new hardware was expandable. Available options included an internal antenna tuner, second receiver, and VHF/UHF transverter board. I started with the barebones model with no options. Of course, the software just kept getting better and each time, the 5000 hardware became a NEW radio over and over again. I installed the second RX which added an independent receiver and a second signal output. With this option installed I could have both receivers share the same antenna, and in effect create a second SSTV Webcam that I could use to capture and display Digital and Analog SSTV images simultaneously on my webpage. This hardware utilized a firewire connection [IEEE 1394] for communication with the PC. It also offered 3 antenna connections for HF which could be programmed by frequency band, and a host of other I/O connections. 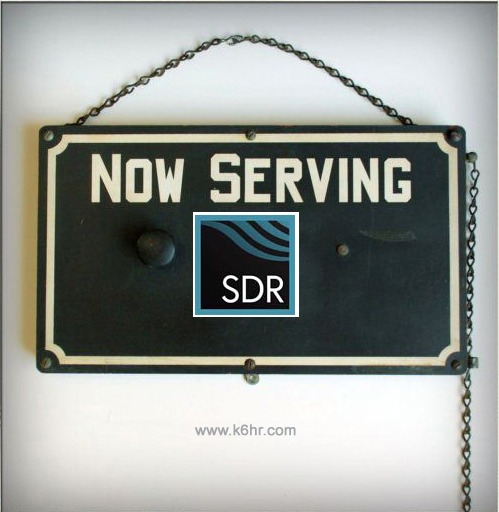 Later I added the “VU Board” when I decided to convert my satellite operations to SDR, which would prove to be a major advance for my satellite operations. 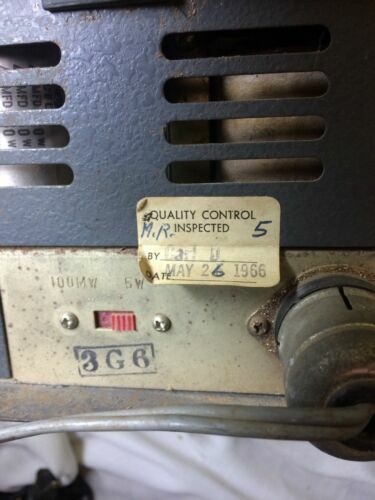 This VU5K is still in operation and will never sell it. Yeah, I know…never say never, because you never know what will come out next that might cause the VU5K to lose its luster. For now, it’s a permanent fixture. Too valuable to let it go! I have also owned the Flex 3000 and 1500 radios. Read more about the 1500 in the project blog area detailing the 1500’s use in my first attempt at Remote SDR. The 6300 was the entry level 6000 series transceiver at the time and included MAJOR new features. 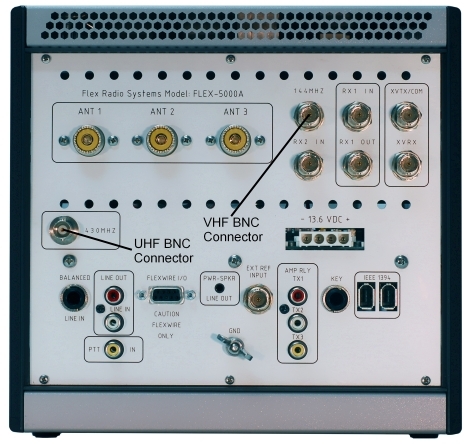 This new Flex transceiver would have 2 USB ports that could be used to communicate with other equipment in the shack. This meant that my AT-AUTO antenna tuner and SPE Expert 1K-FA Linear Amplifier would both be able to follow the radio without the need to TX to set the tuning process in motion. As I tune the radio, it sends a stream of frequency data to the amplifier and antenna tuner enabling them to follow the radio “on the fly” and bring the amp and antenna tuner to the preset SWR tuning instantly and automatically. Full automation via direct connection to other hardware! Wow! Oh yeah, the “Game Changer” part was the ethernet port. Guess what? Now your radio can be connected to your router and assigned an IP address on your network. And guess what, you can use the radio from any PC on your network! And of course, it’s an SDR server itself, meaning soon you will be able to connect to it from any PC anywhere on the internet. A bonafide game changer! And this is just the hardware! The introduction of SmartSDR would offer Flex users never before seen new features that included USB ports and Network connectivity. There was also a major improvement to the way the user interacts with the panadapter, allowing the user to ‘slide the panadapter back and forth (something you couldn’t do before) and it made the great point and click tuning even more amazing. 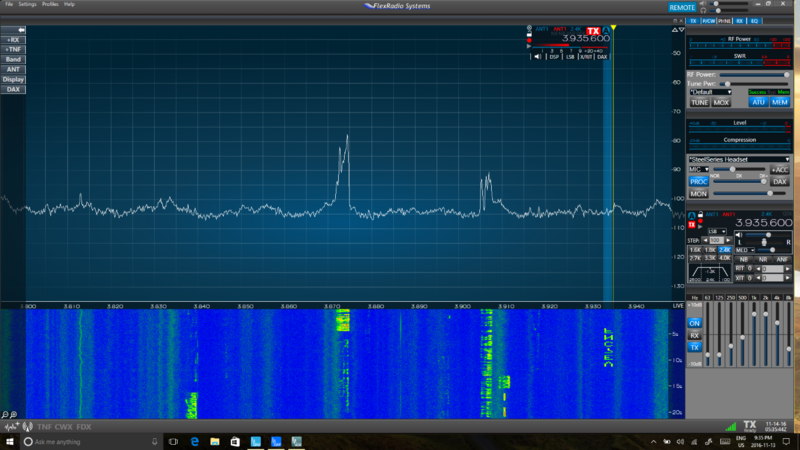 Rather than drone on about the software, suffice it to say Smart SDR did not disappoint! It should be mentioned that I do not work for Flex or any of their dealers. Just another “Flexer” aka a Flex user. I’ve had some work done by the Flex Service Dept. and maybe I’ve been lucky, but the turnaround time was miraculous for the two interactions I had with them. In one case the radio was ready the next day! In the coming months I hope to add another one of the latest Flex hardware offerings to my station. The Flex 6600 and 6700 models currently have my full attention! The 6600 will enable the use of 4 simultaneous slices, while the 6700 will allow up to 8 independent slice receivers (panadapters) simultaneously, on different bands, using 2 separate antennas and many other way cool bells and whistles. My current Flex 6300 only allows 2 slice receivers, both on the same antenna. I’ll keep it, and it will become the new radio for my SSTV Cam, replacing the 5000A that will be used exclusively for satellite operations going forward. It probably makes sense to mention the PC hardware I use to run all this radio hardware. It’s an Intel Core i7 875K [4 x 2.93 ghz Cores with 8 Threads], Intel DP55WG Mainboard, 16GB DDR3, and GT 720 and GTS 450 Display Adapters. More than adequate to handle all the stations computing demands, while providing video to the stations 4 PC monitors. Currently running W7 64. Intel i7 875K: Enough horsepower to run everything in the shack with lots of CPU headroom to spare! The new 44U rack installation will include the Ubuntu 13.04 Server, running on capable old Pentium D hardware, and a new W10 64 machine running on an Intel Core i5-4460 Haswell Quad-Core 3.2 GHz with MSI H81M-P33 as the mainboard. All 3 machines are installed in their rackmount cases and are ready to go into their new home. The K6HR radio timeline has not ended yet! There will soon be some exciting additions to the shack!